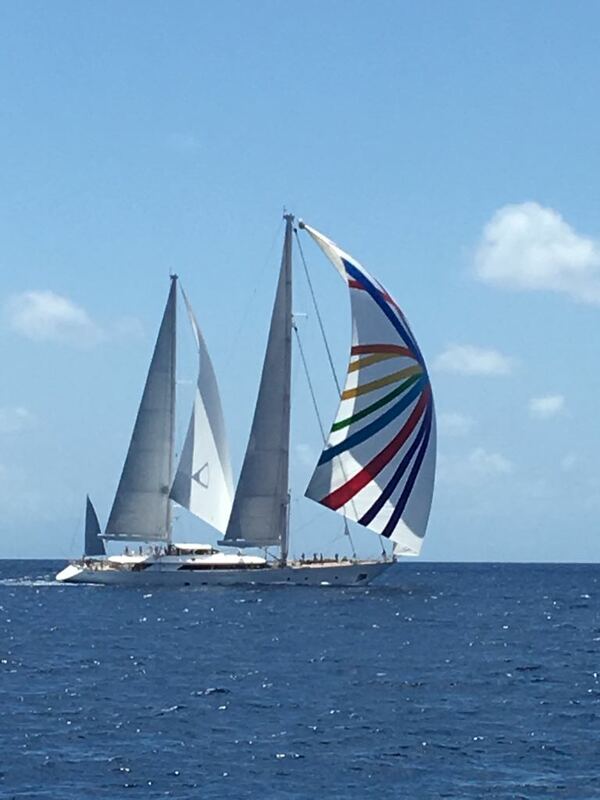 Three days of racing here in the Caribbean, for 25 Super Yacht’s, concluded today with a 8-10 knots race, clockwise around the island. For us on Rosehearty, it was quite a different week. Many of our usual competitors like Seahawk and Perseus were not in attendance this year. Zenji and ourselves ended up grouped in class D with three yachts who weigh 1/3 of our weight. There was no contest. The winner was Hap Fauth’s Whisper. Whisper and Blue Too beat us on average by 20 minutes each day. A bit of a change for us as we had won our class that last two years here. Four years on with the same core team on Rosehearrty and our crew work and manouvers just keep getting better. Today we actually started a drop, in a super yacht, when the bow was at the mark. That’s a first. Hats off to the crew of Rosehearty! Sailing in St. Barth’s is truly a special priviledge. Off to San Francisco and tomorrow. Looking forward to being home.